1. Remove your coupler from the receiving tube. 2. Insert the GanderLock into the receiving tube. Twist the GanderLock 1/4 turn (extending the security bolts). 3. Depress lock mechanism and turn key. 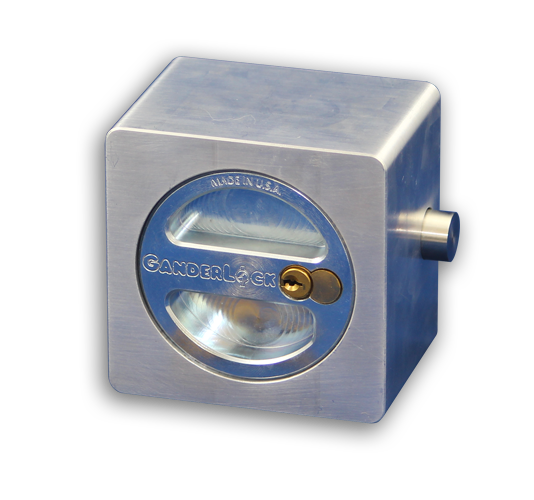 The GanderLock is a revolutionary new security device, designed to prevent the theft of gooseneck trailers. 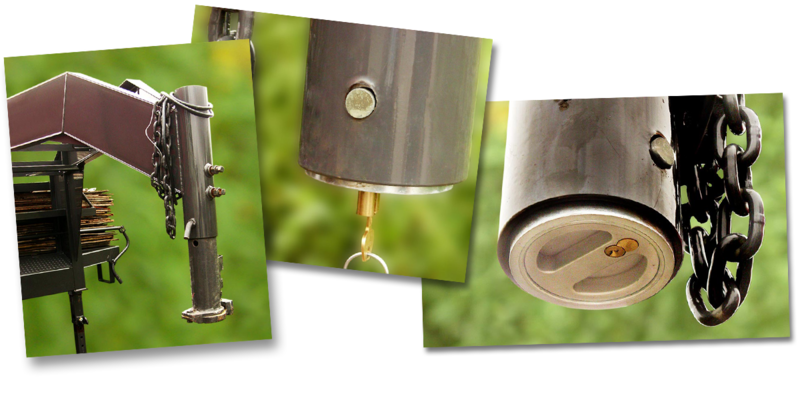 Five pounds of steel blocks the opening of the receiving tube to prohibit the insertion of a coupler – thus denying thieves access to your trailer. 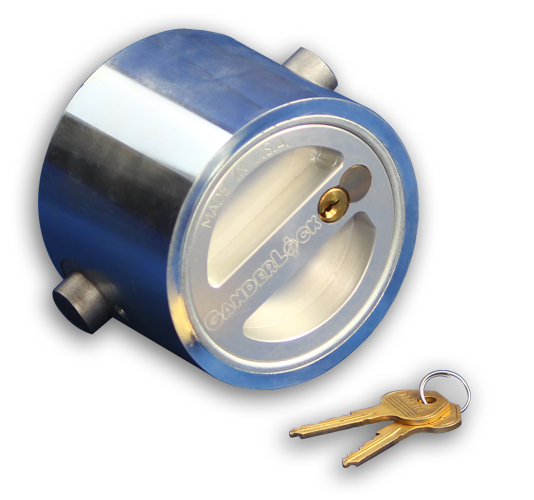 Coupler locks merely lock the coupler, making it easy for thieves to remove the coupler, insert their coupler, and add your trailer to their collection! Over the last 20 years, Mark Cline, the inventor of the GanderLock, has owned three gooseneck trailers. Two have been stolen. 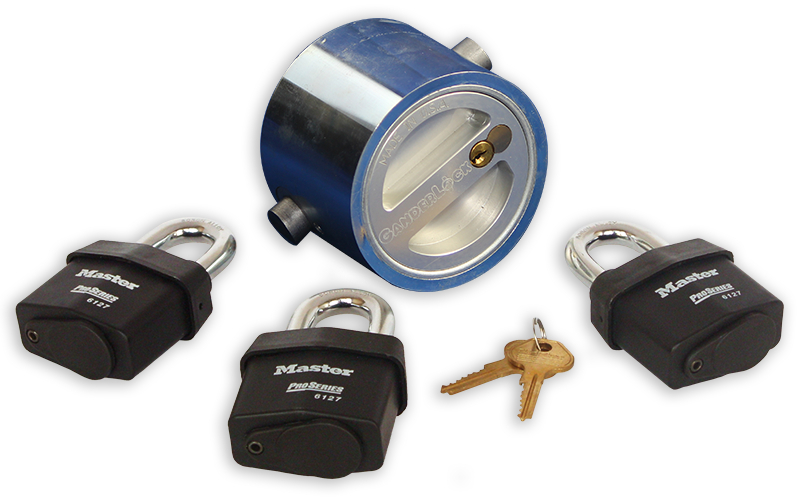 Having searched for locks that would meet his satisfaction, only to find none, Mark decided to devise a lock that would secure his trailer – not just the coupler. Don’t let your gooseneck remain unsecured! See all of our videos here.